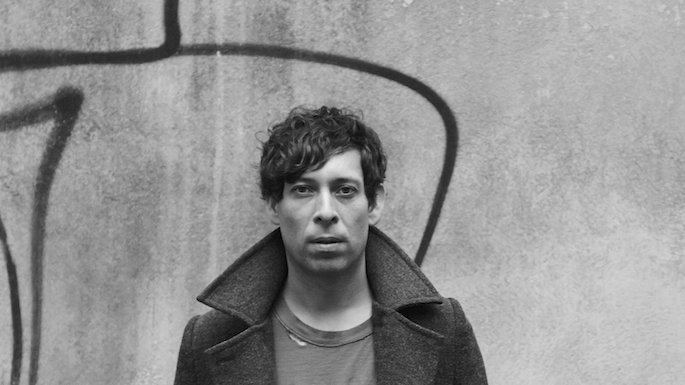 Luis Vasquez readies his third album as The Soft Moon. As The Soft Moon, Vasquez has explored the darkest corners of darkwave with heavy doses of post-punk and goth. Early next year, he will return with Deeper, his third album under the alias. As opposed to 2012′s Zeroes, which was written and recorded while on tour, Deeper was forged in “total solitude” in Venice and Berlin, miles from his usual Oakland base of operations. With producer Maurizio Baggio, Vasquez looked to create his most personal and emotional record yet with a renewed focus on songwriting. “The album is an inward-looking representation of a new man as he processes the relentless undercurrent of his internal battles with suicide, vulnerability, and healing,” according to press materials, and the first glimpse of the album — the aptly-titled industrial march ‘Black’ — can be heard below. Deeper is due out on March 31 via Captured Tracks. For more Soft Moon, FACT interviewed Vasquez a few years back about his fears, phobias and dreams. At this time, I feel it is necessary to release an official statement of the facts in regard to my recent deportation from the country of Norway. First, I want to apologize to all Saint Vitus fans, and to my band members and crew for my lapse in judgment that ultimately resulted in me missing the last six shows on our Born Too Late 35th anniversary European tour. On November 9th before noon just over the Norwegian border, I was arrested for possession of an illegal substance. I take full responsibility for the consequences of my actions. The other members and crew were unaware of my substance use. I was truthful with the authorities, and initially sentenced to 16 days in jail, minus the three initial days immediately following my arrest. On those days, I was in solitary confinement, with no reading or writing material and fed solely bread water. Despite these conditions, I was treated respectfully and cordially by all Norwegian authorities. Initially, I believed I would be fined, allowed to continue the tour, and upon its end, I agreed to return to Norway to finish my sentence. I was disheartened to realize that I was to be deported straightaway back to the U.S., and not allowed to finish the tour. I sincerely regret the inconvenience and loss incurred by everyone involved with these gigs, the inspiring co-headlining Orange Goblin, our booking agent, promo folks and the venues, and of course, fans and ticketholders. I want to salute the members of Saint Vitus for carrying on with these shows without me, and proving admirably the class of true road warriors they are. Again, my deepest apologies to all. After several productive years of sobriety, the rigors of almost nonstop touring and life’s circumstances led me to develop a dependency that has become detrimental to my health, and now, my freedom. As of now, I am currently off the road, and actively engaged in treatment. I will continue my course of creating music and art. Early next year you will see the release of WINO AND CONNY OCHS’ new full-length recording, “FREEDOM CONSPIRACY” on Exile on Mainstream Records. Also on the near horizon: A full-length Wino solo acoustic recording, the launch of my art and music web store, and my no-holds-barred biography. Thanks to all who Believe!